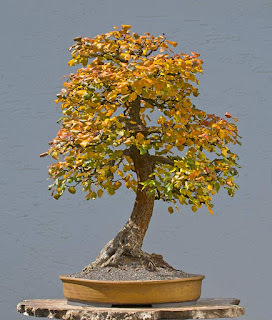 After repotting three weeks ago in the middle of August this tree responds with very early fall color. 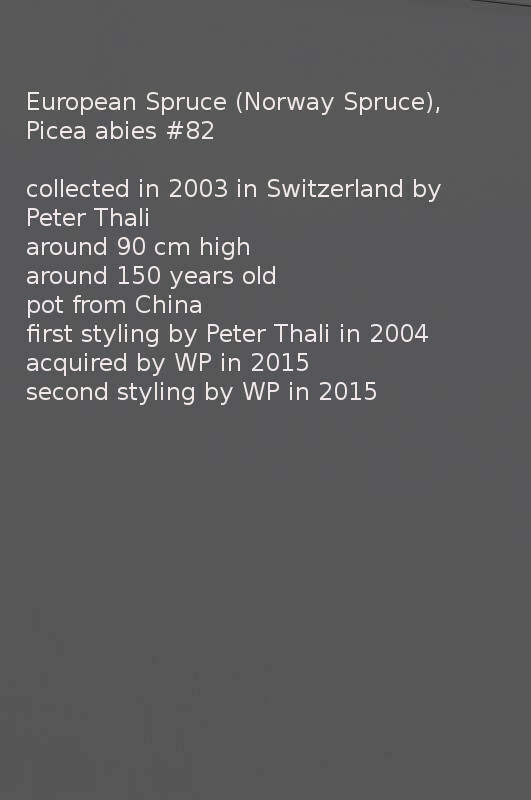 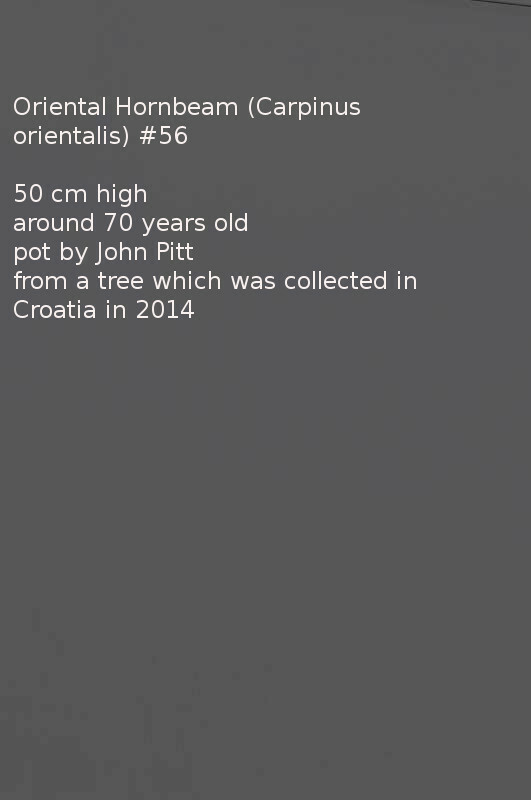 This is a good sign. 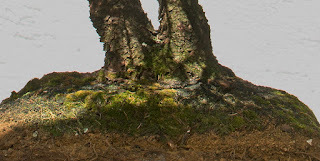 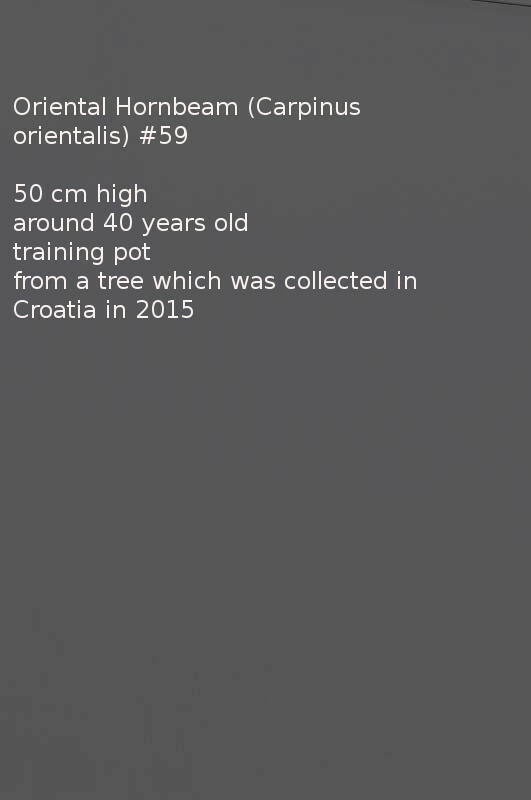 It shows that the tree is fully functioning. 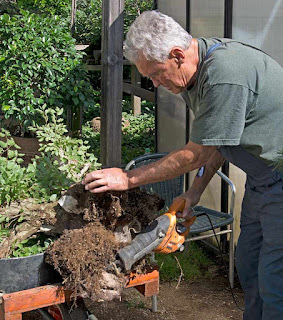 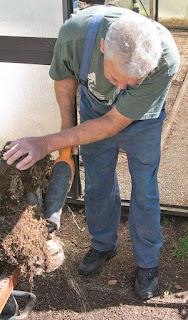 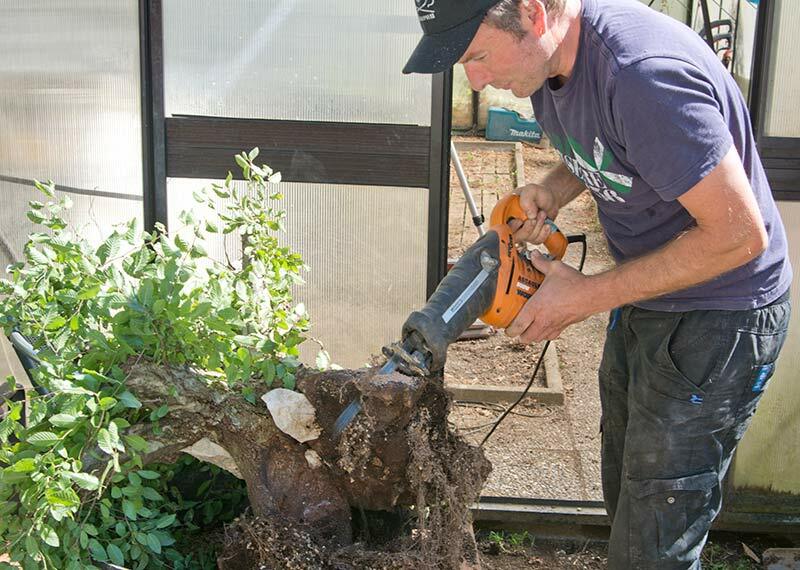 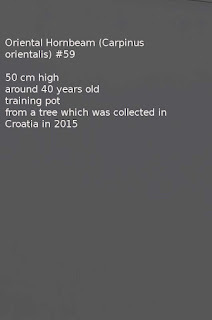 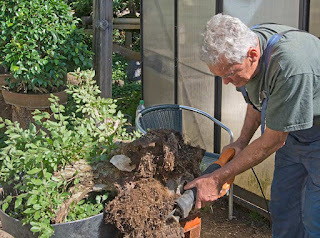 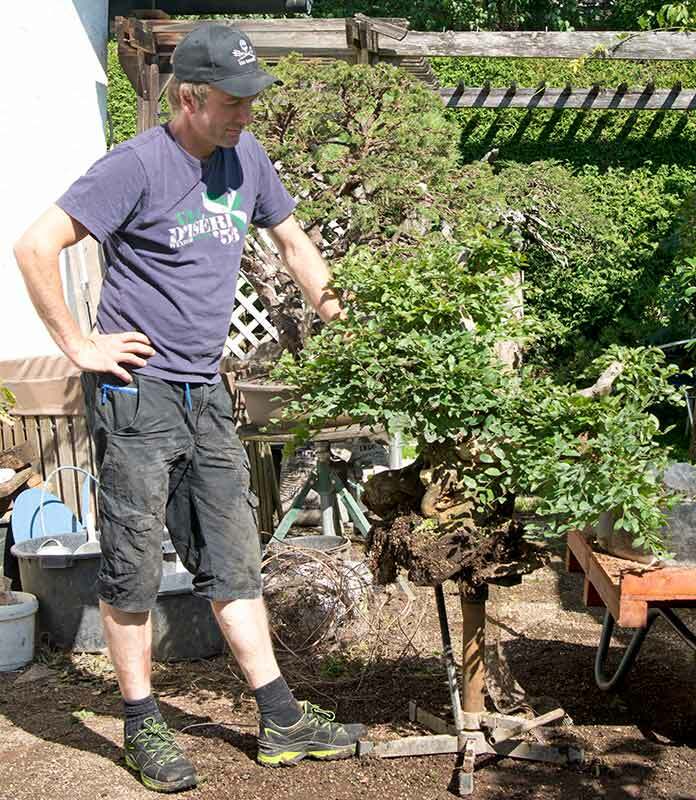 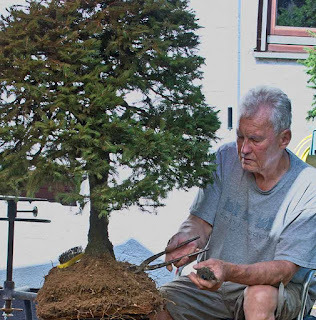 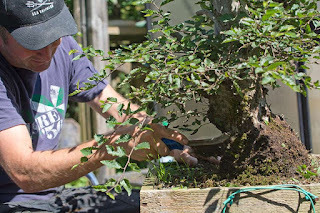 Contrary to what most people believe mid-August I consider the best time to repot most trees in my climate. 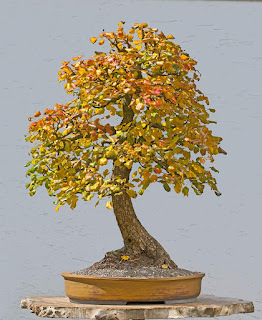 I am happy about the choice of pot now - It goes so well with the orange foliage. 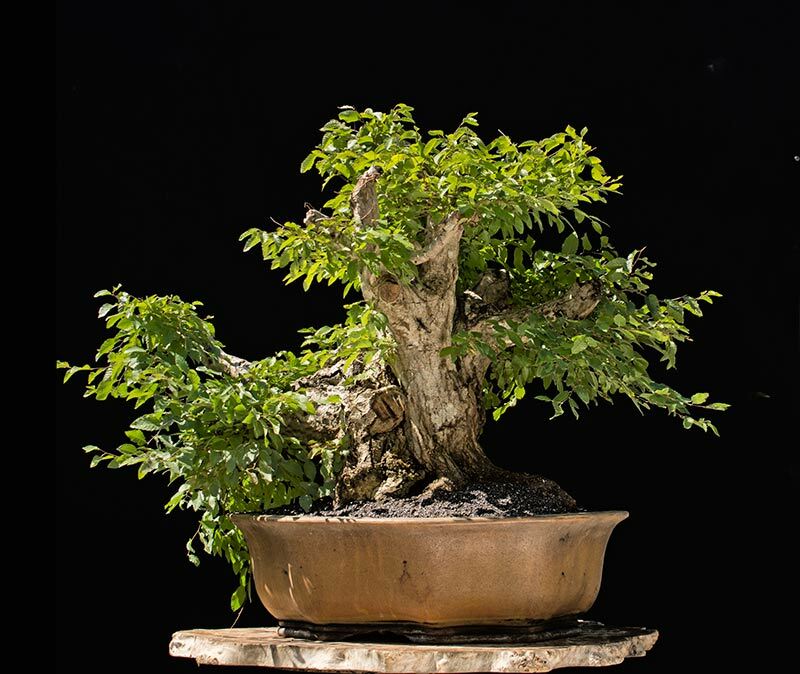 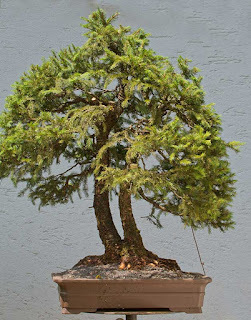 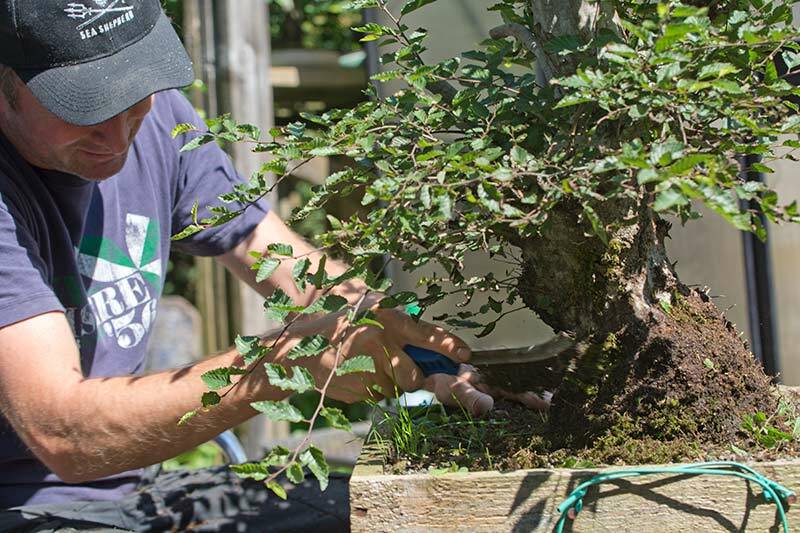 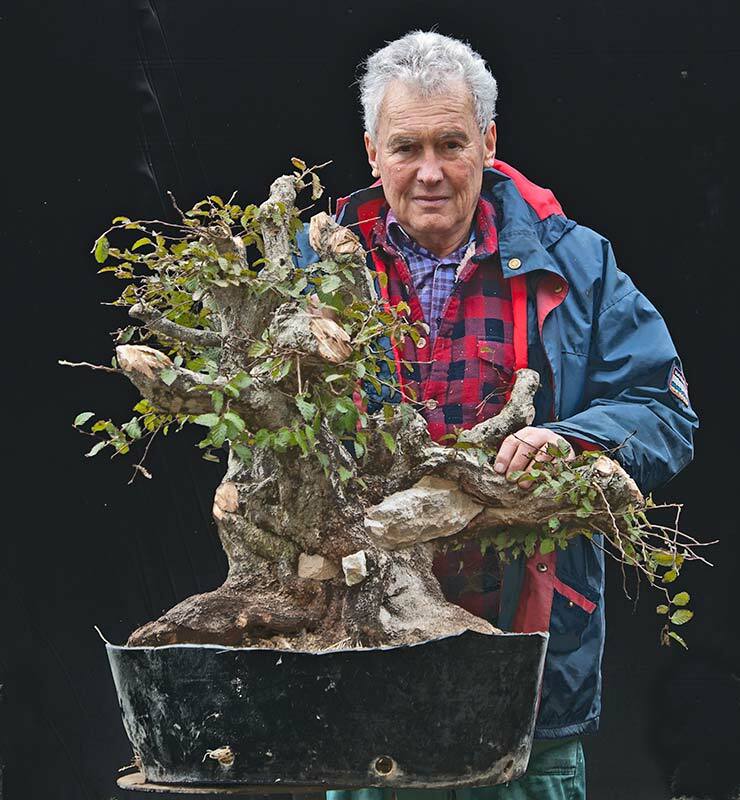 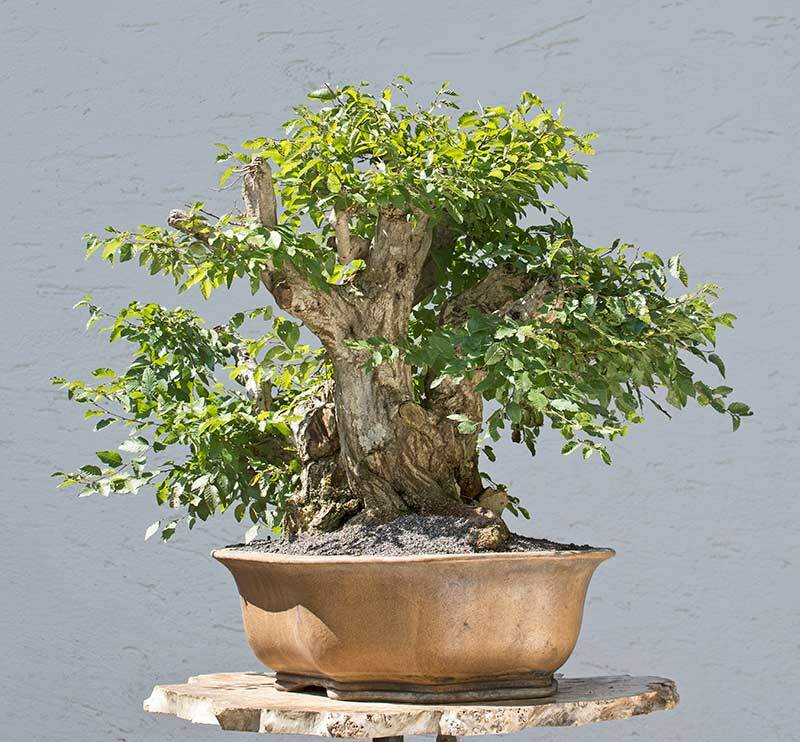 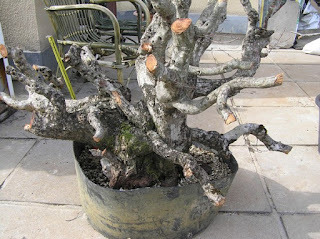 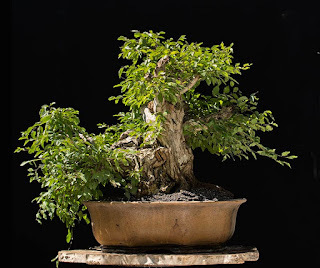 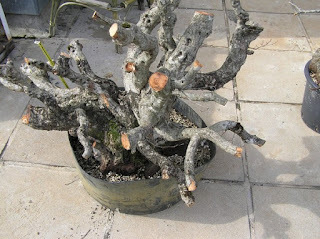 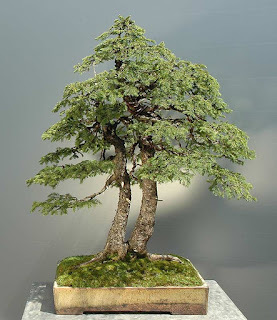 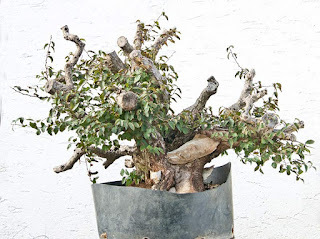 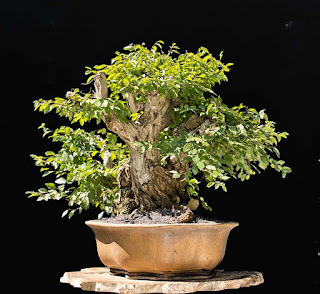 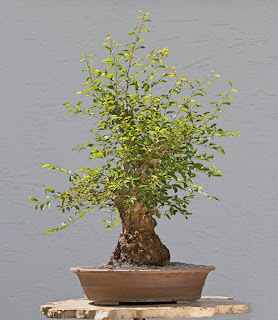 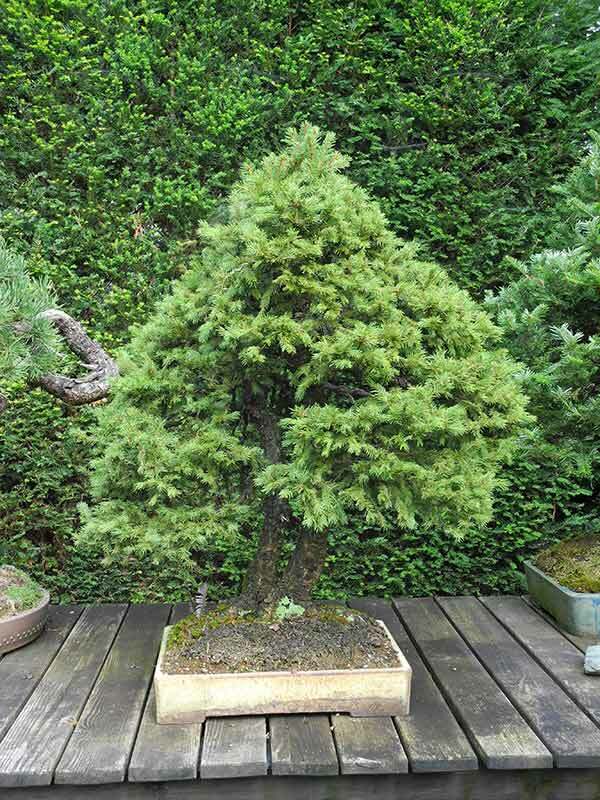 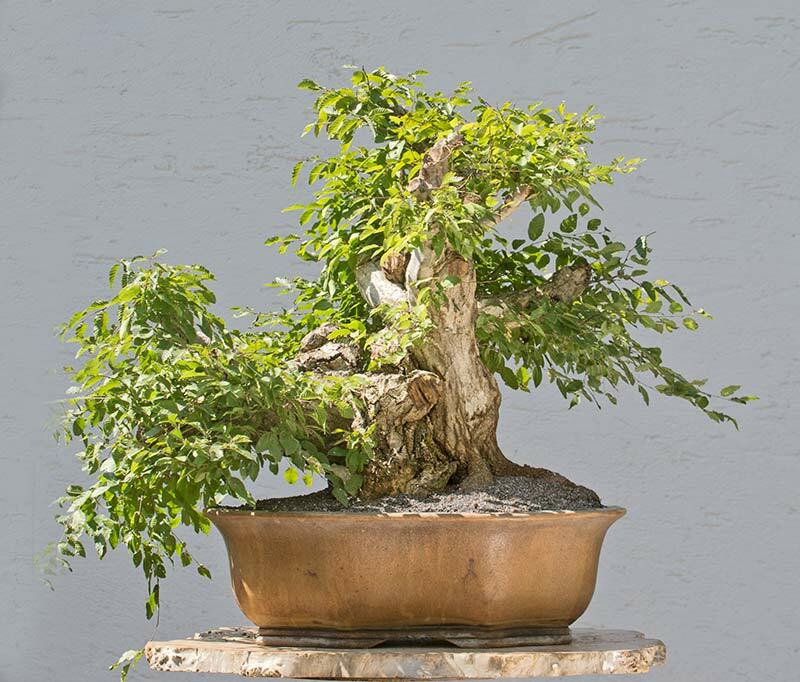 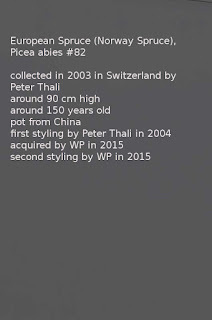 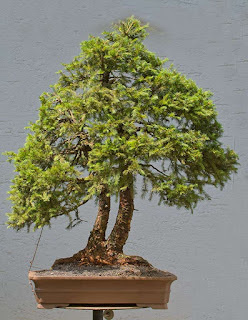 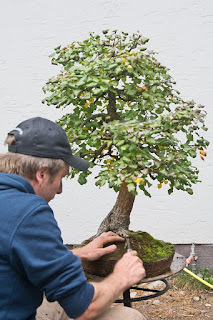 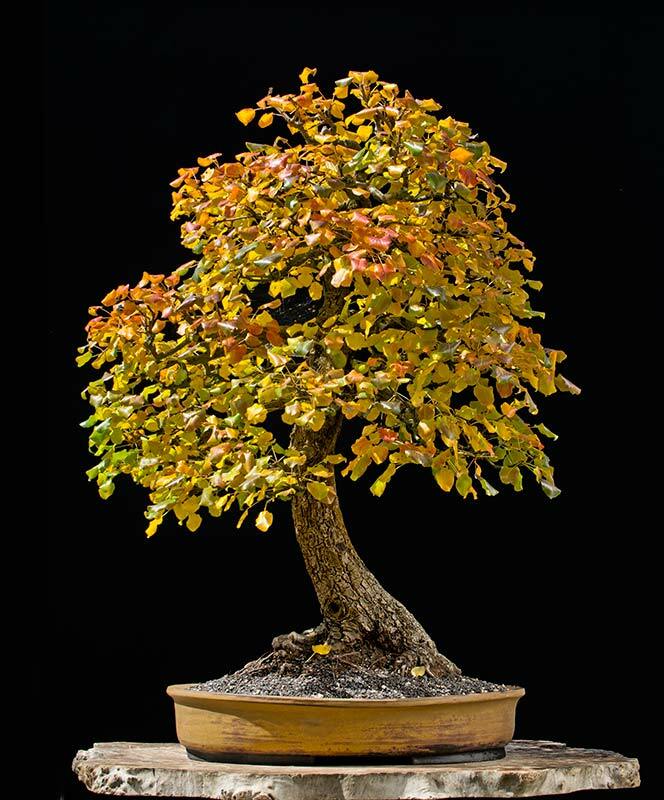 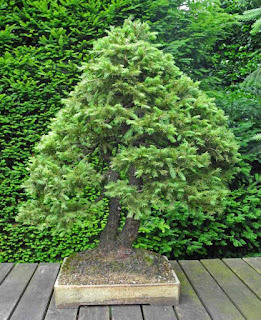 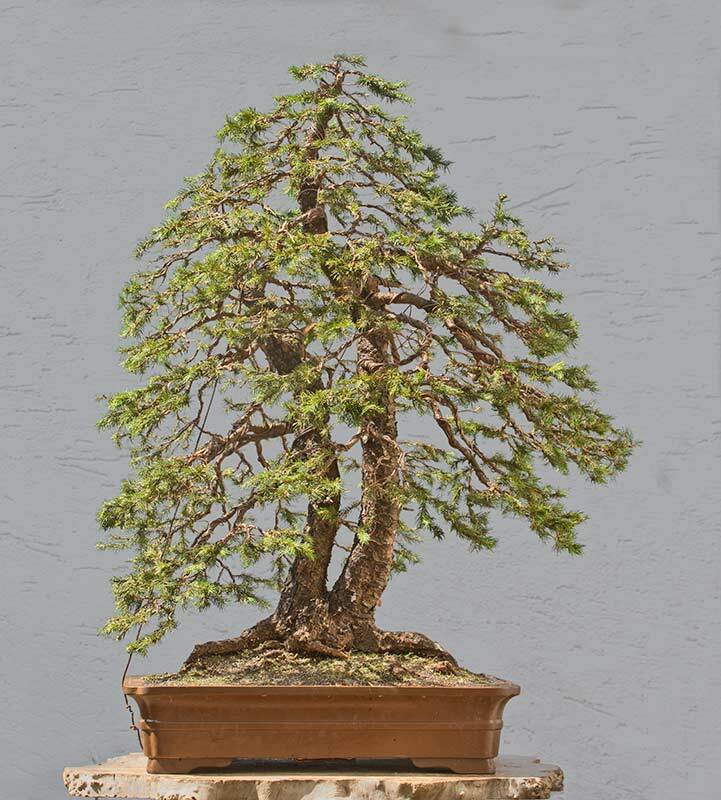 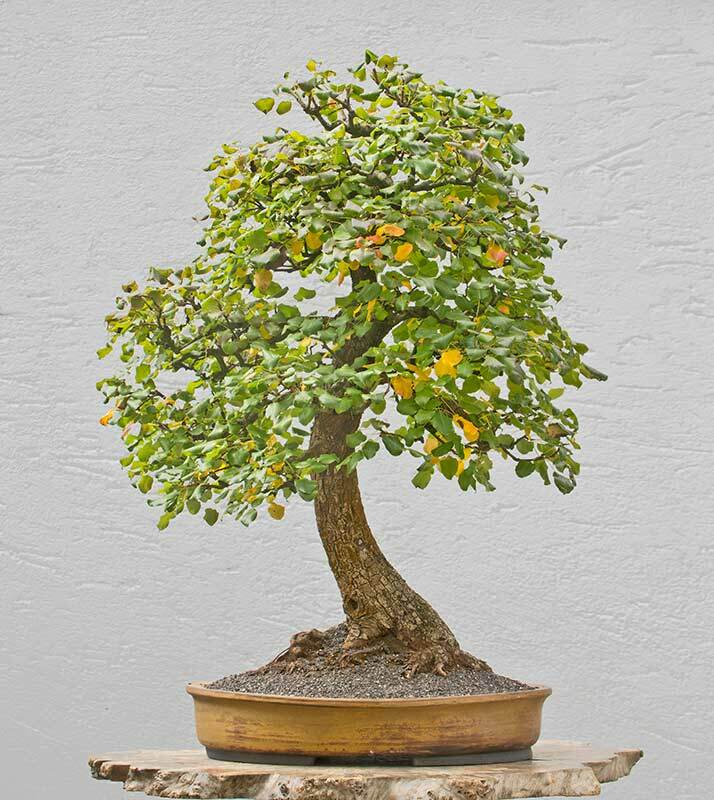 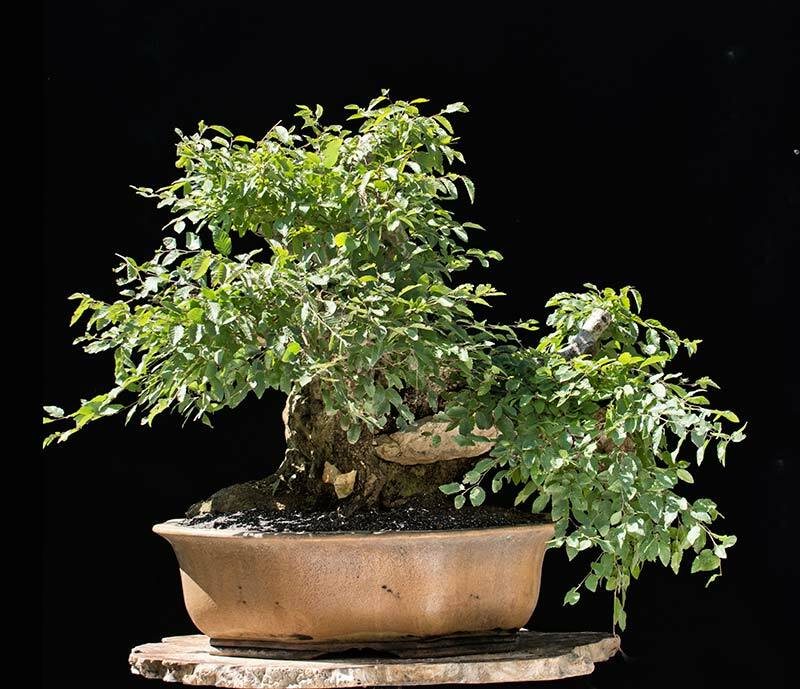 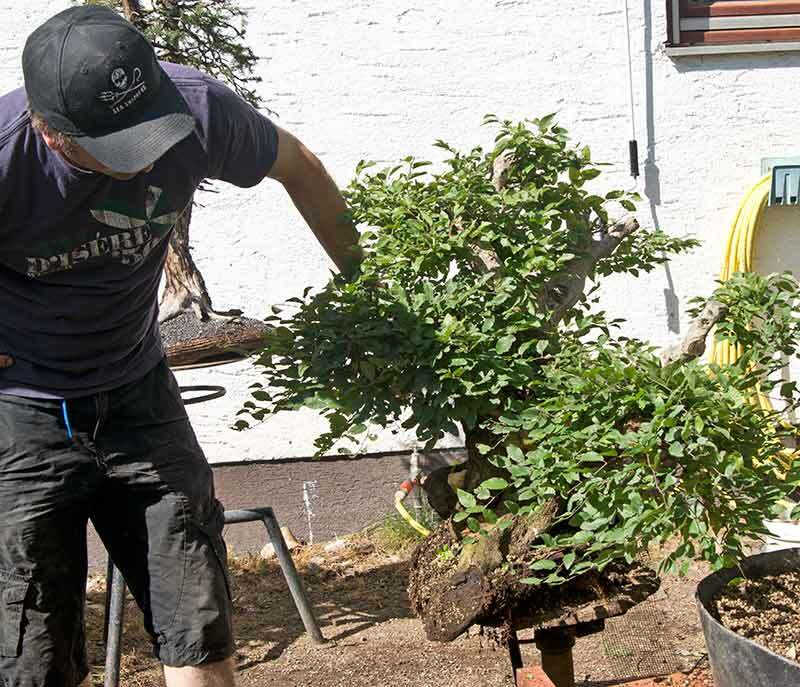 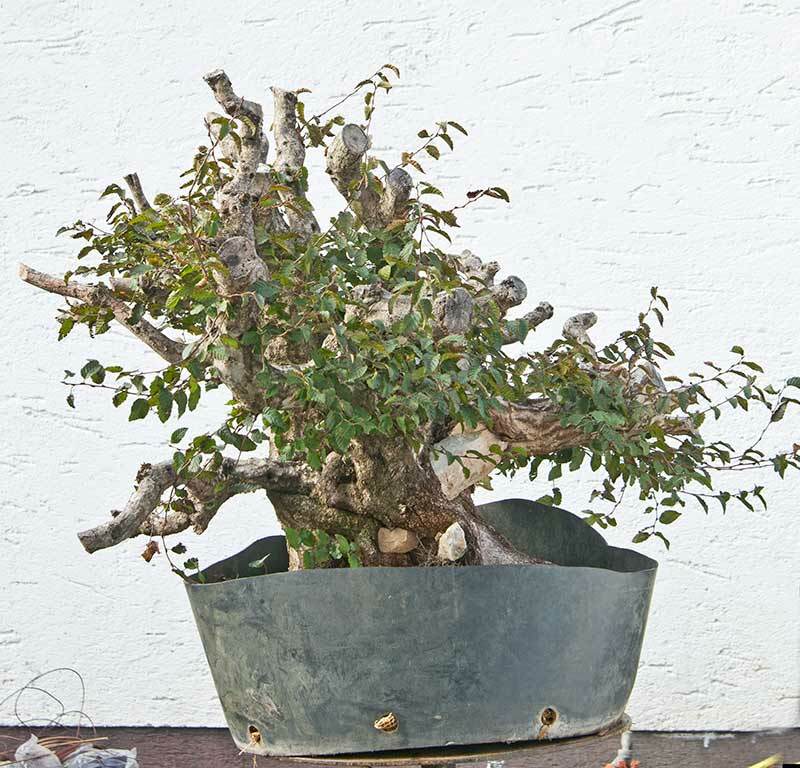 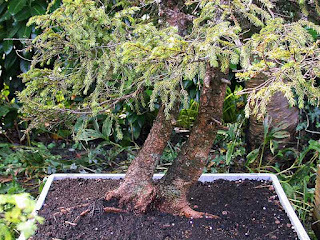 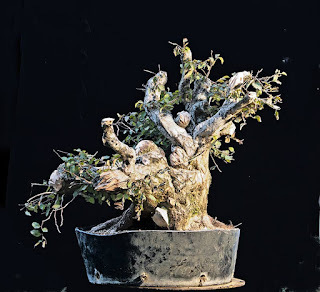 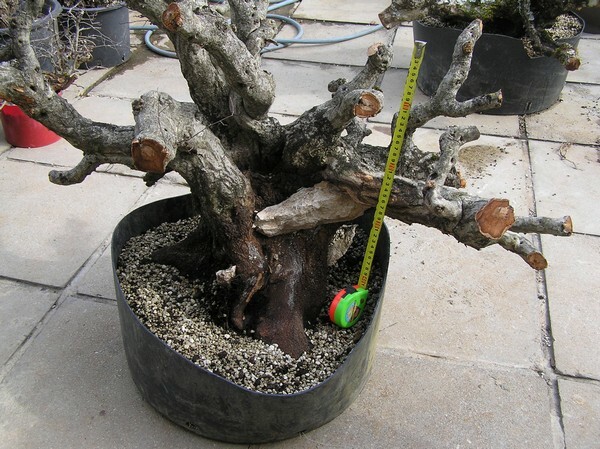 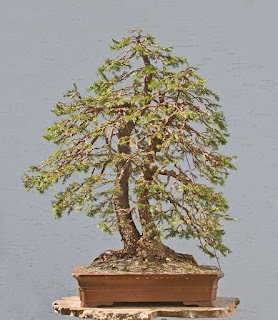 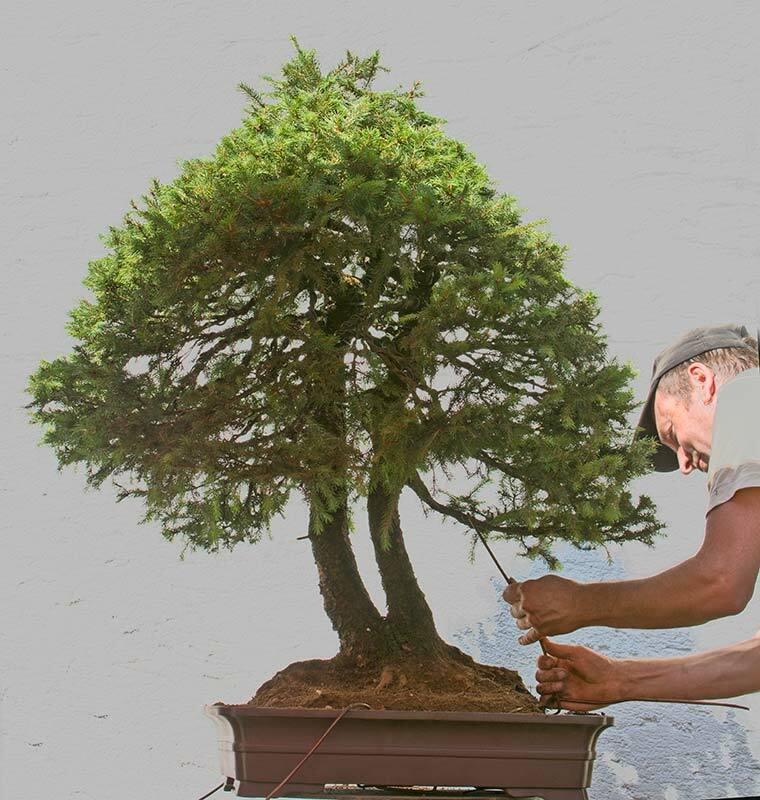 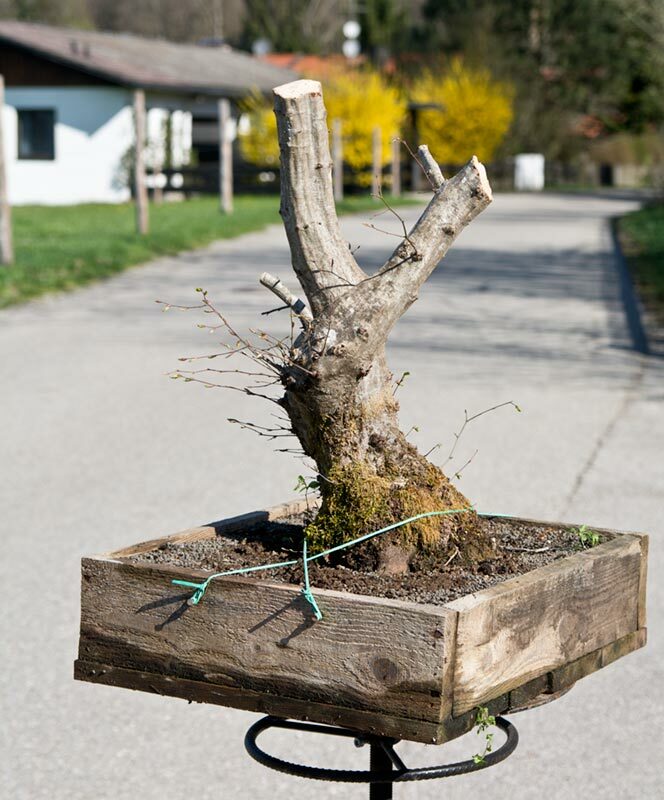 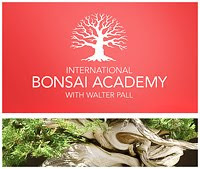 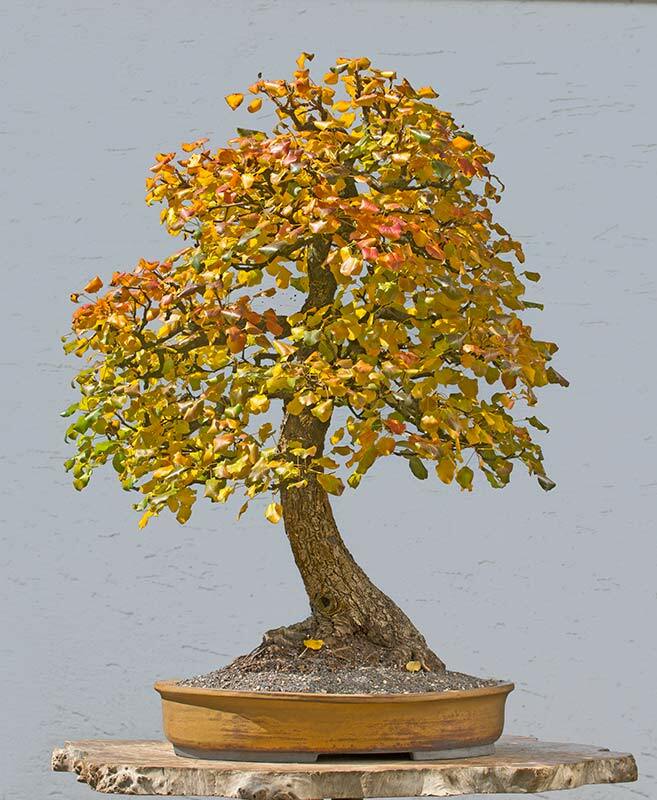 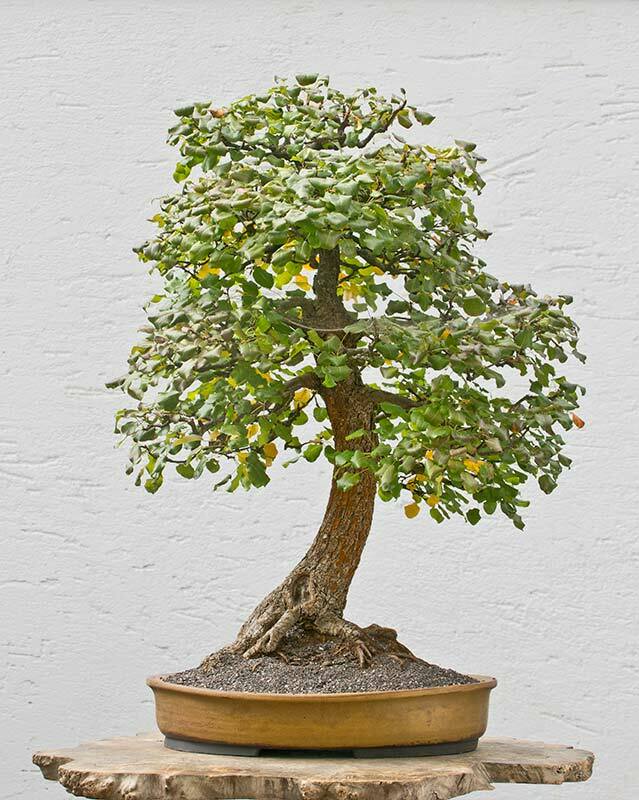 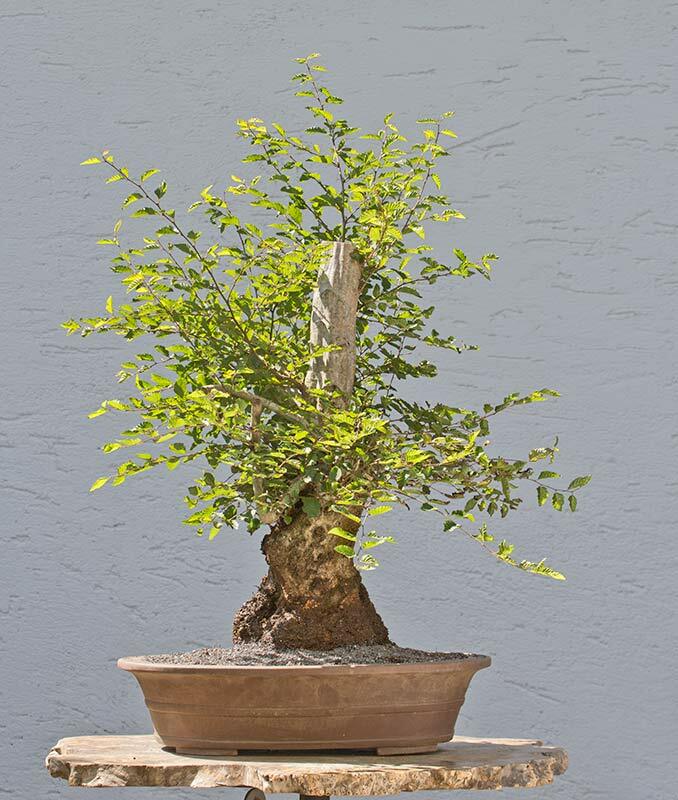 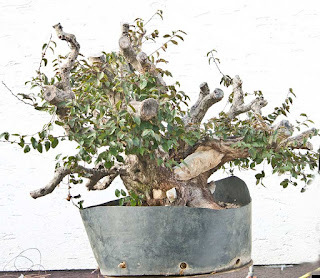 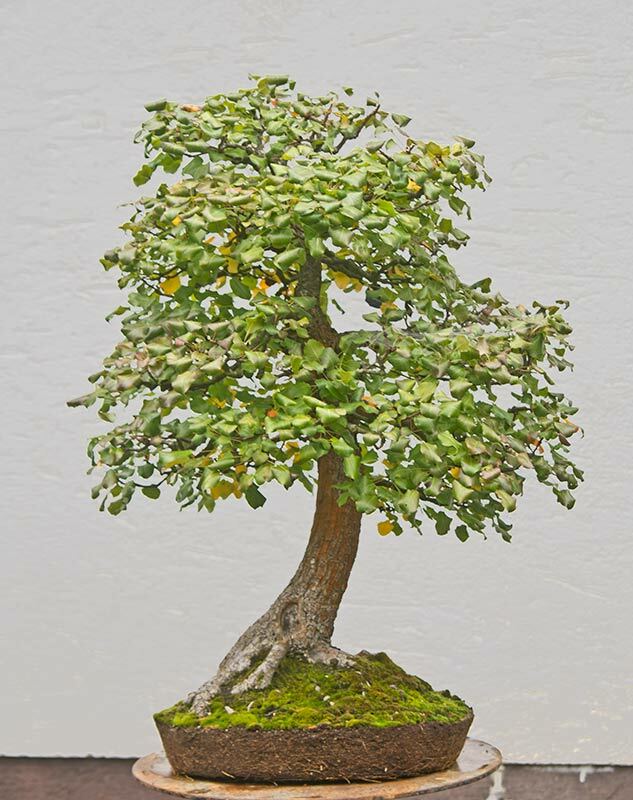 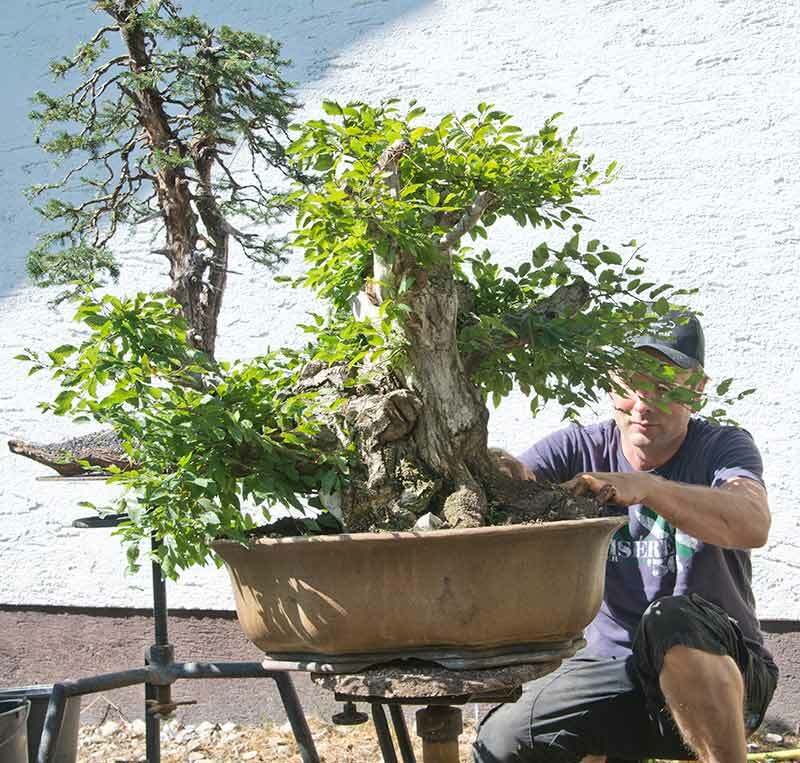 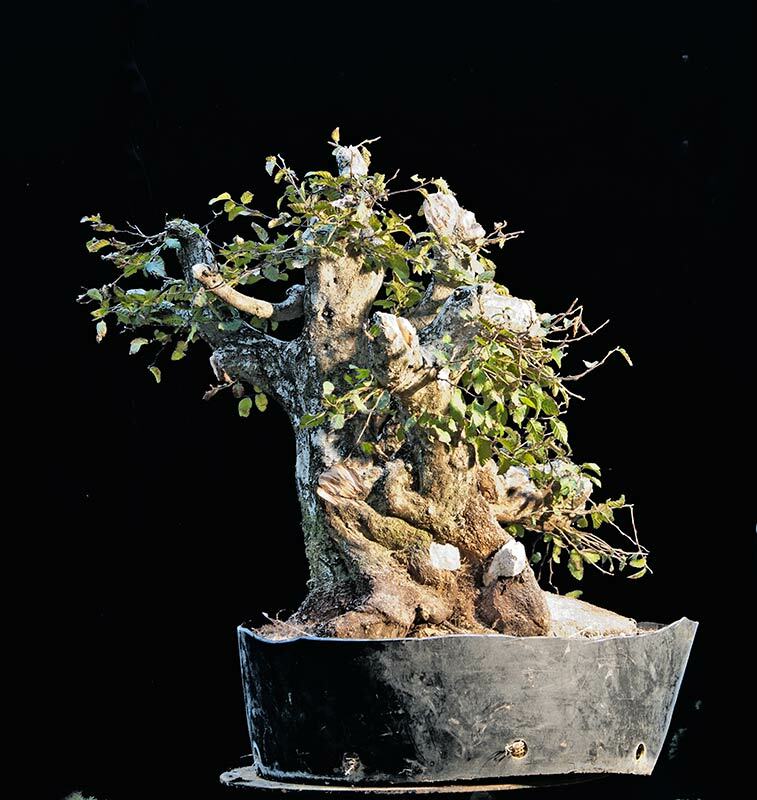 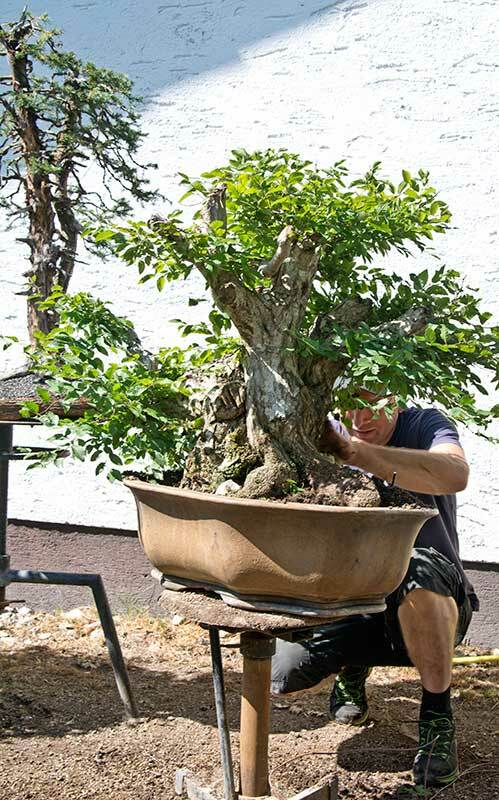 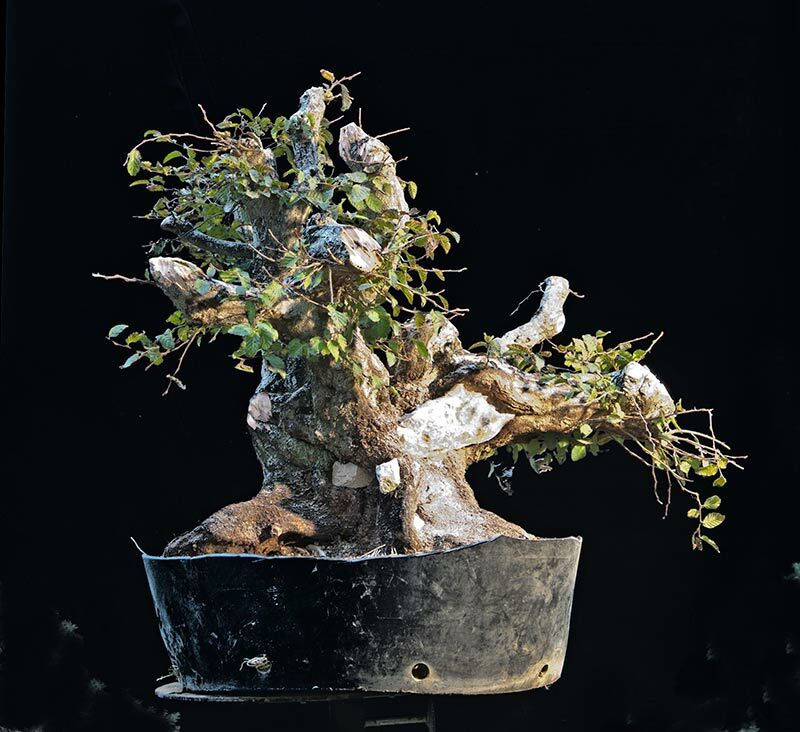 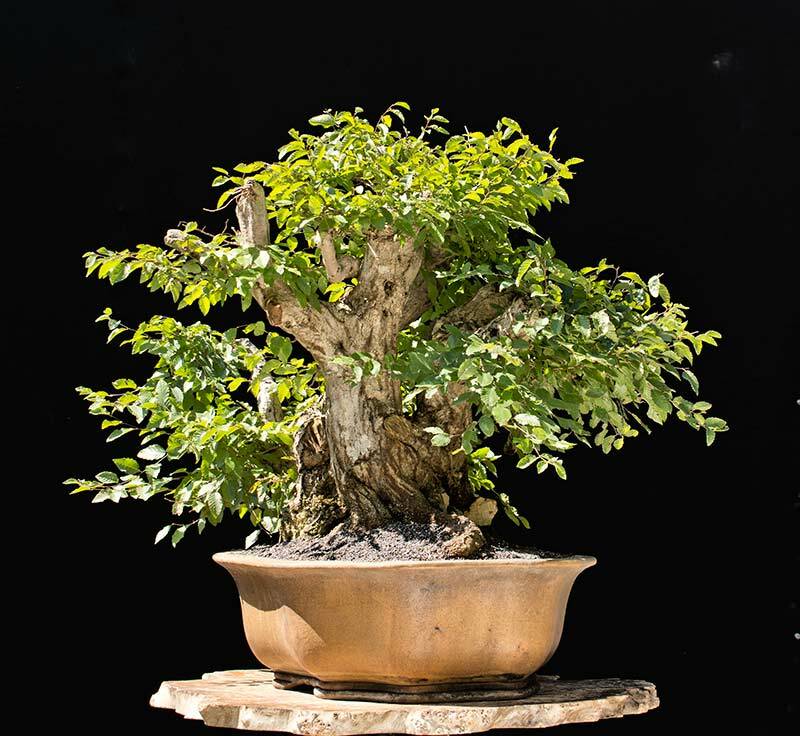 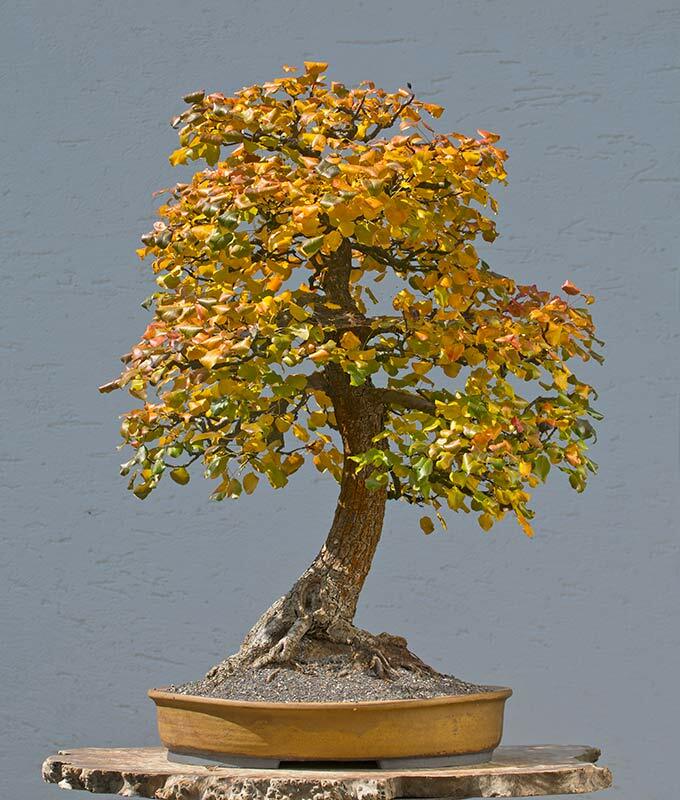 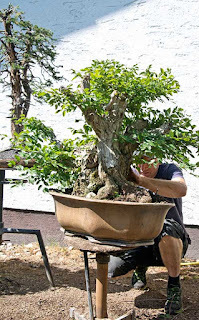 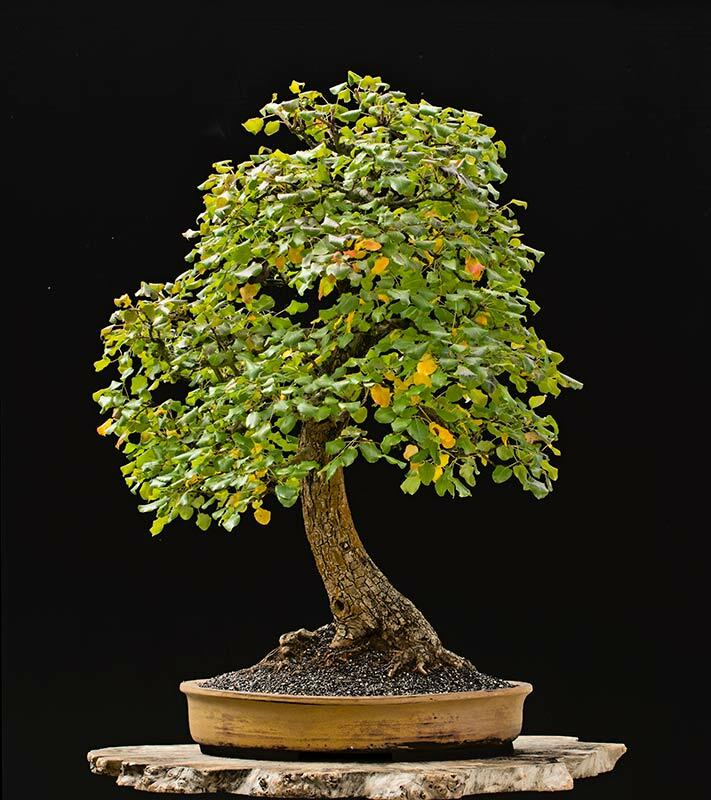 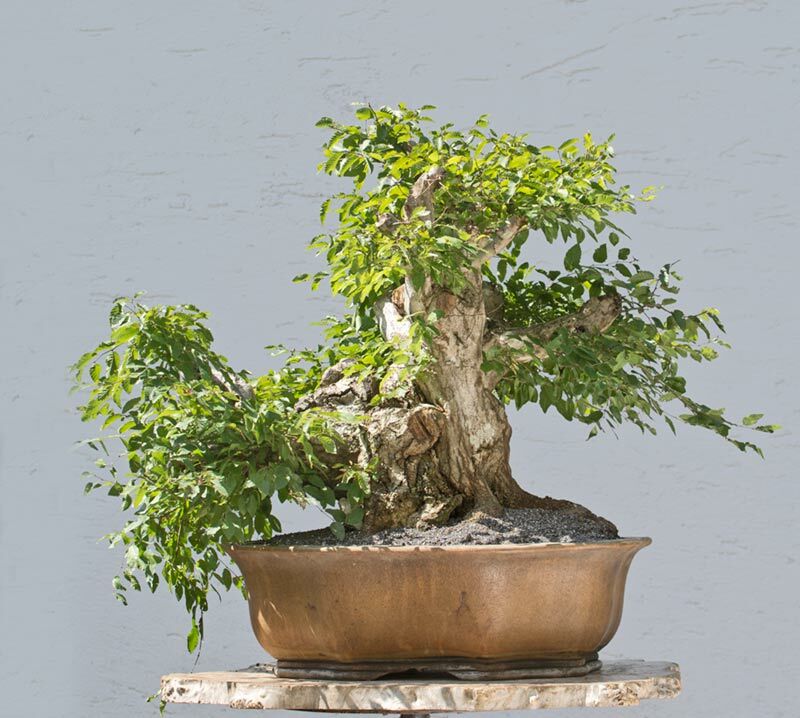 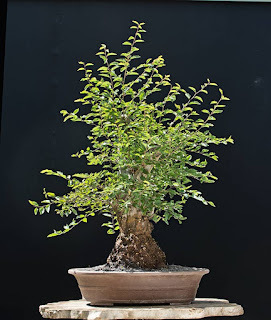 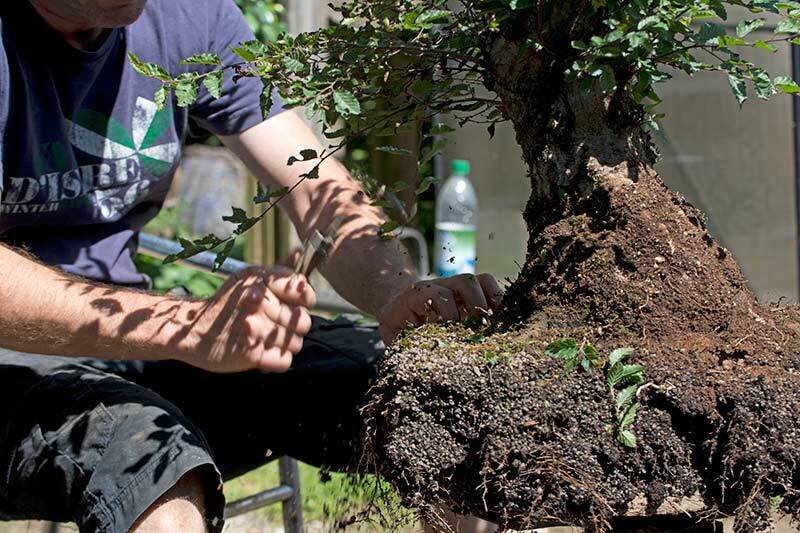 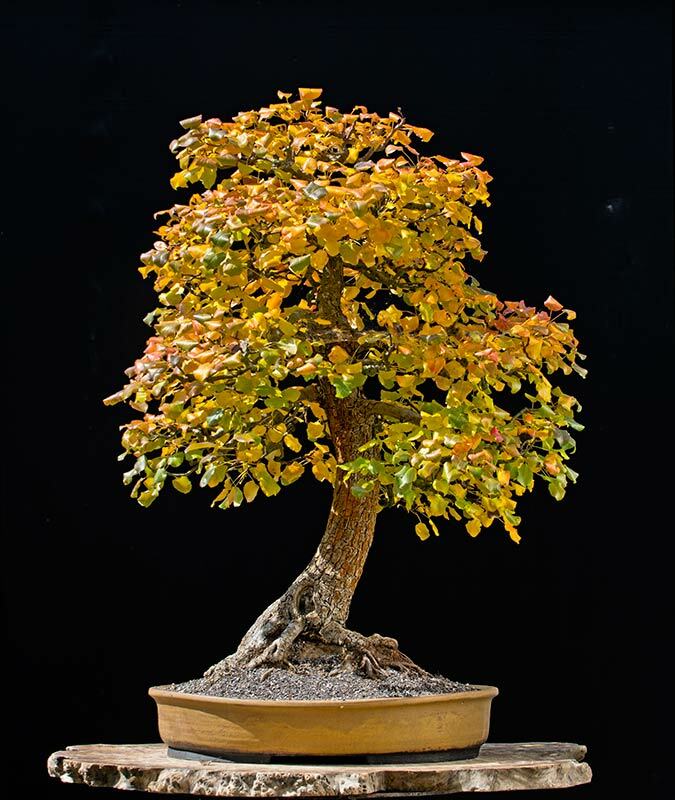 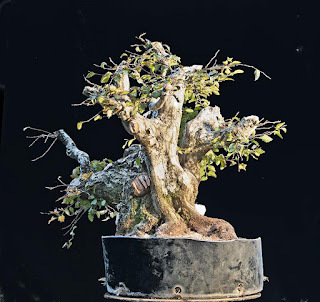 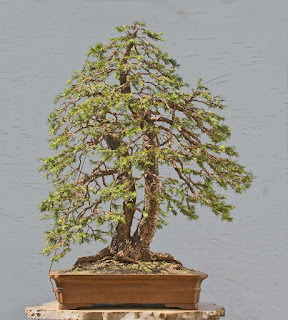 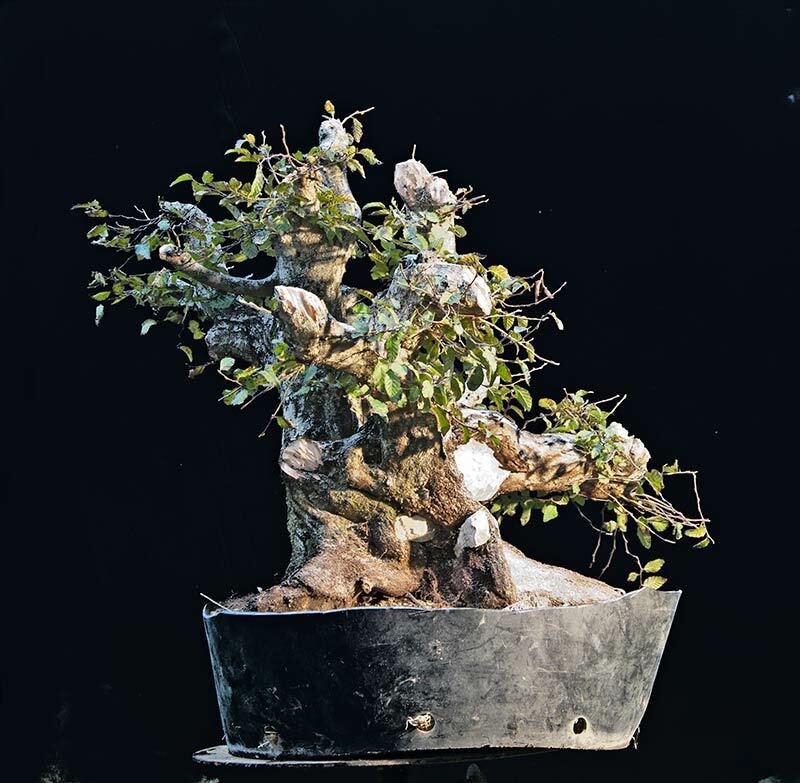 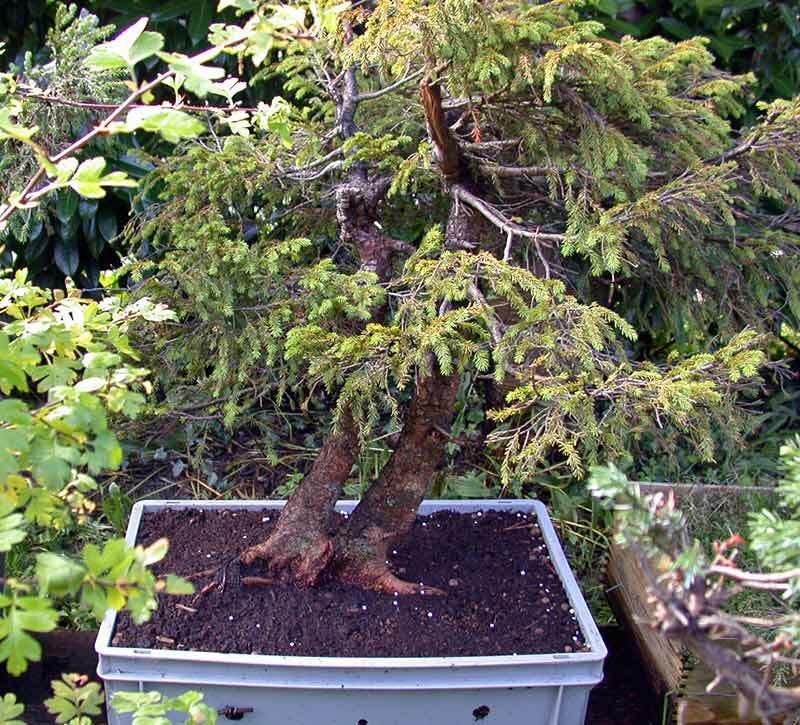 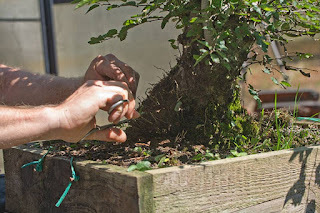 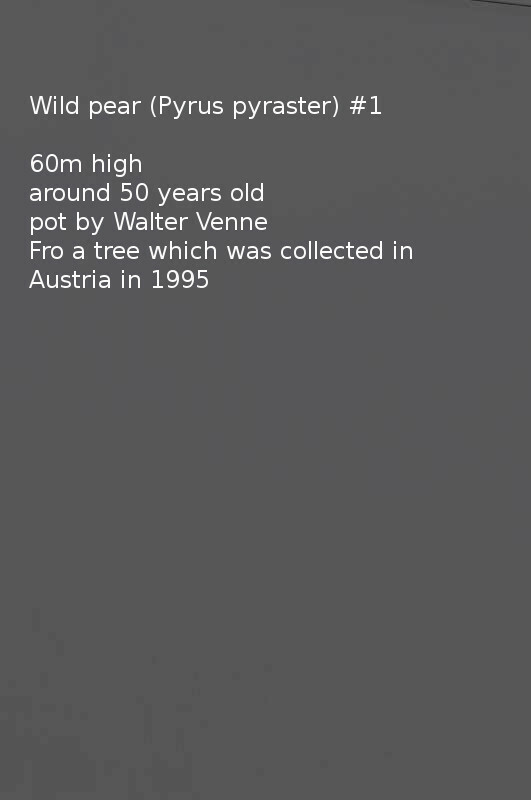 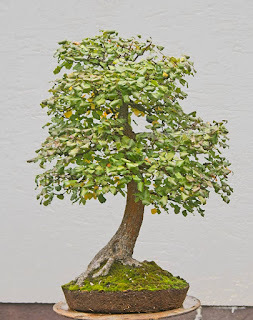 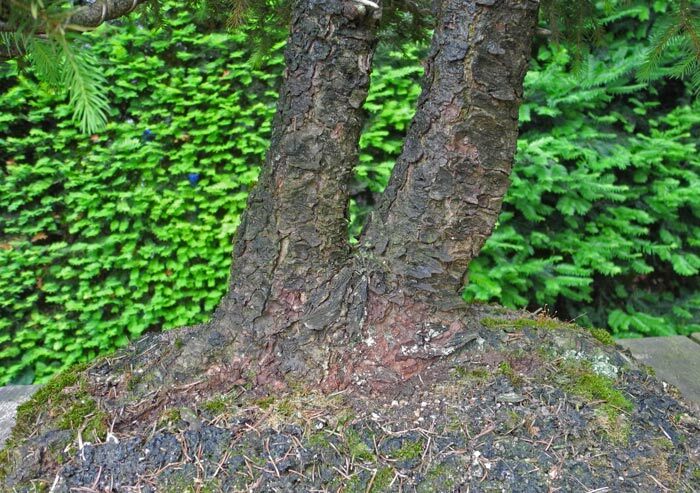 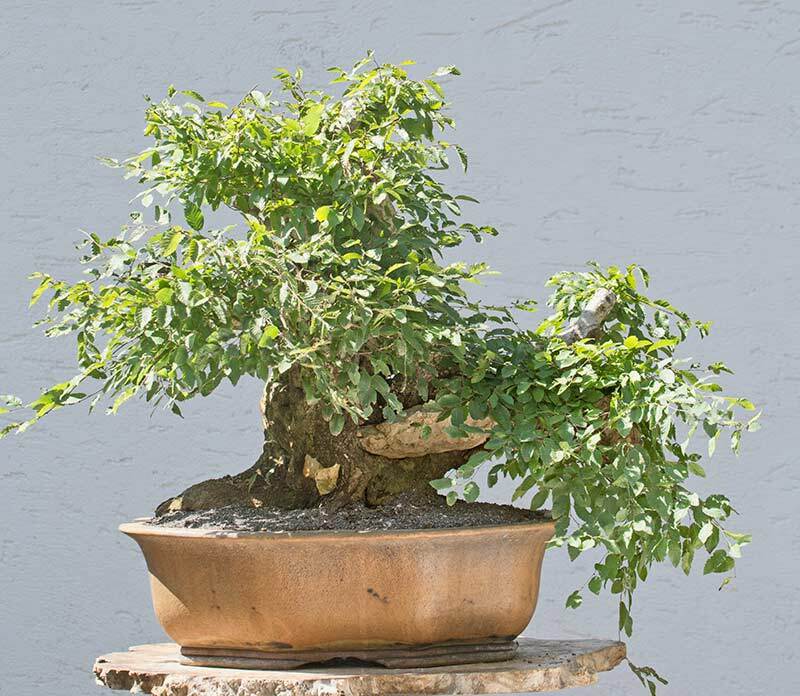 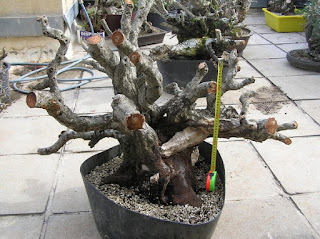 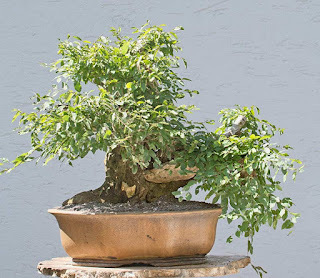 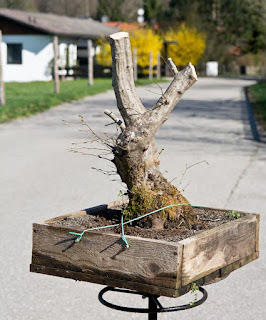 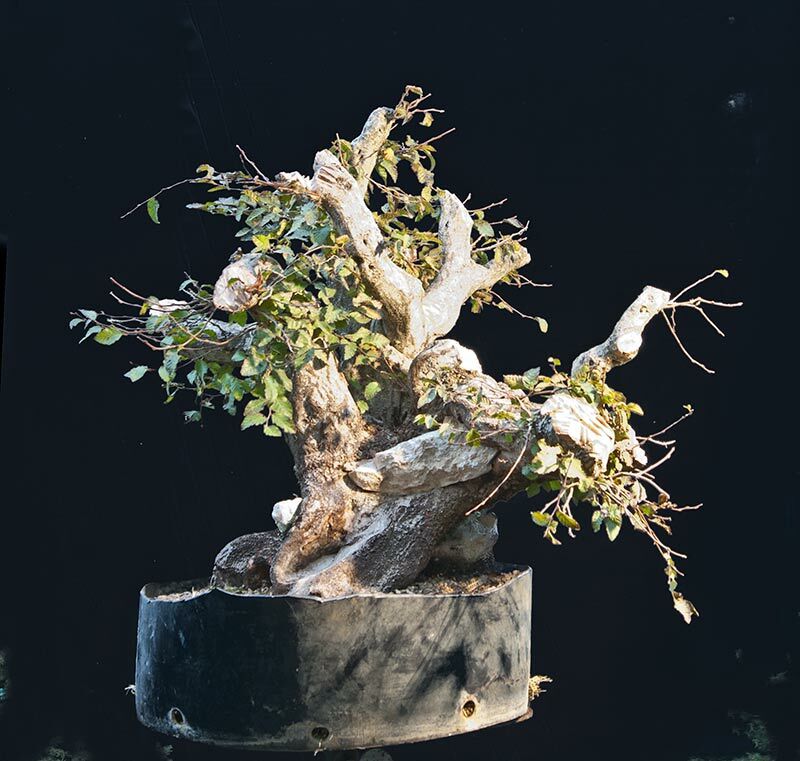 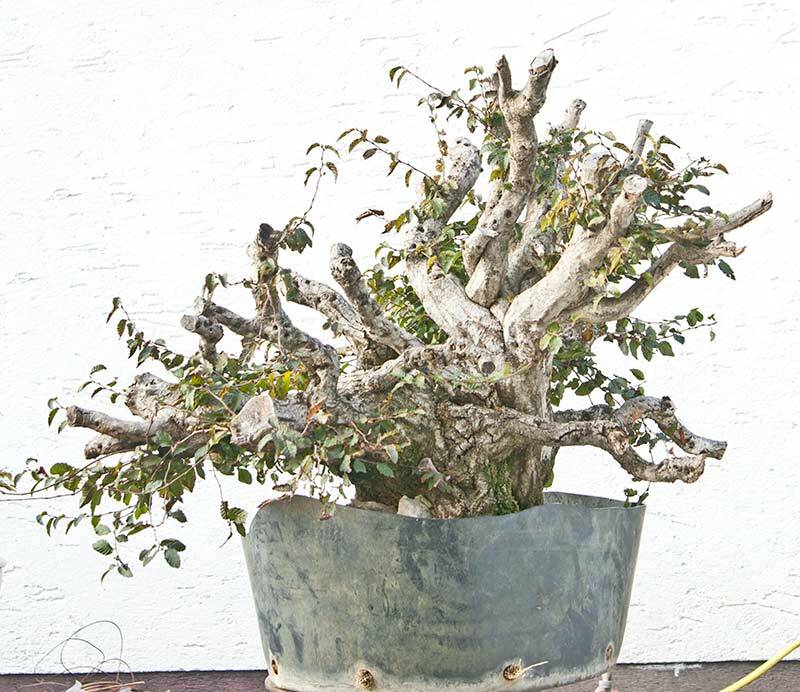 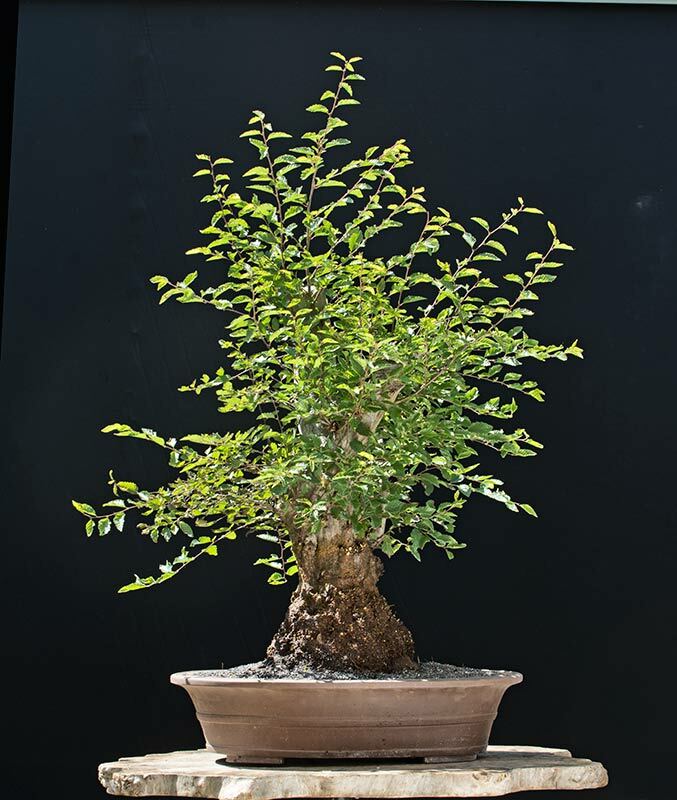 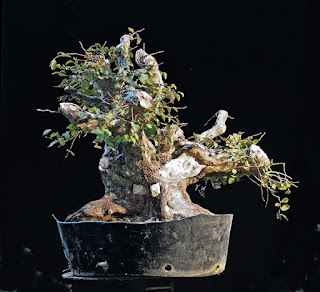 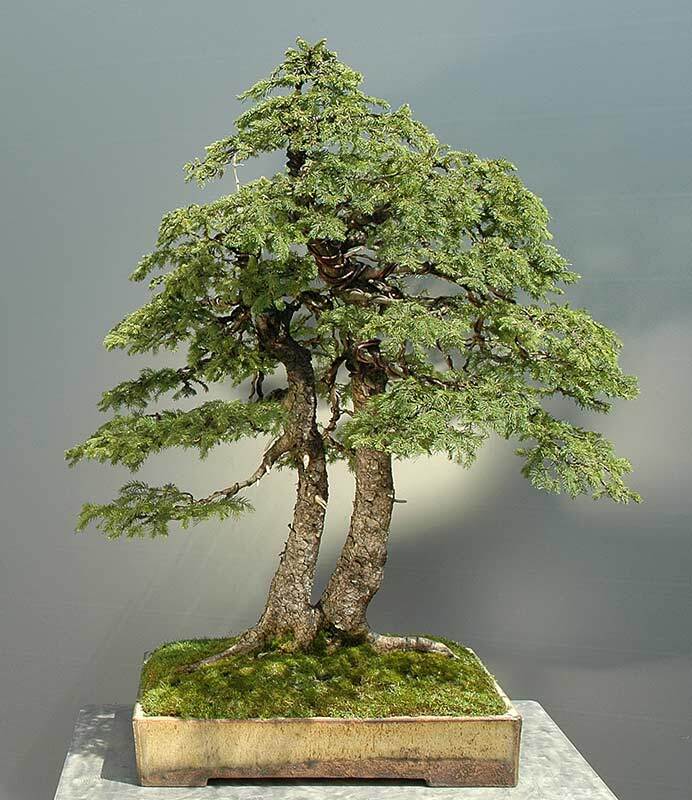 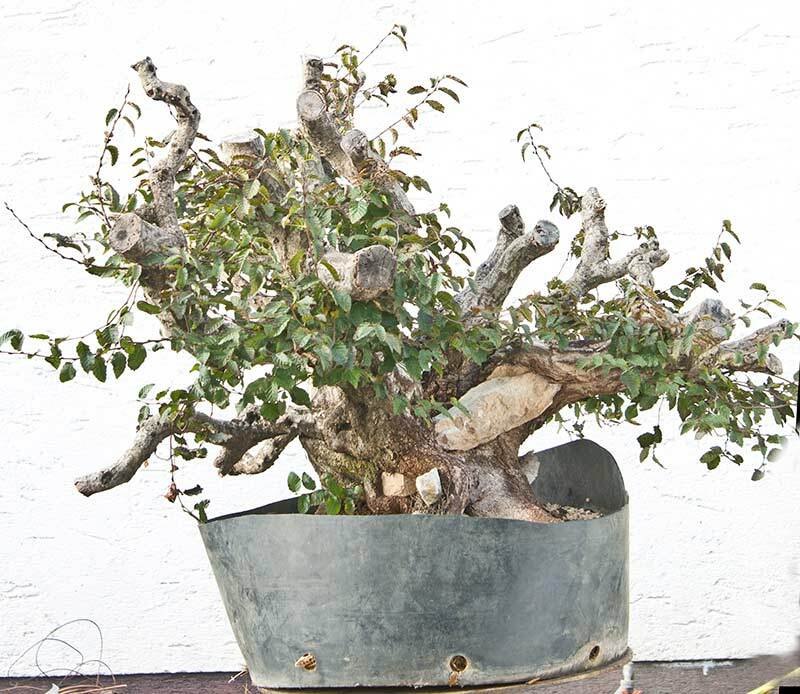 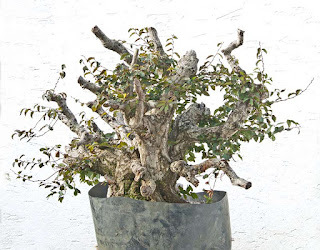 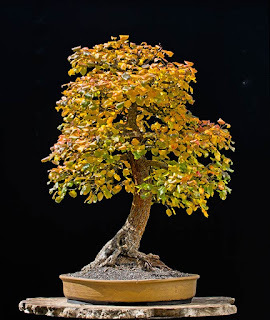 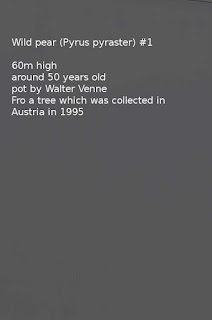 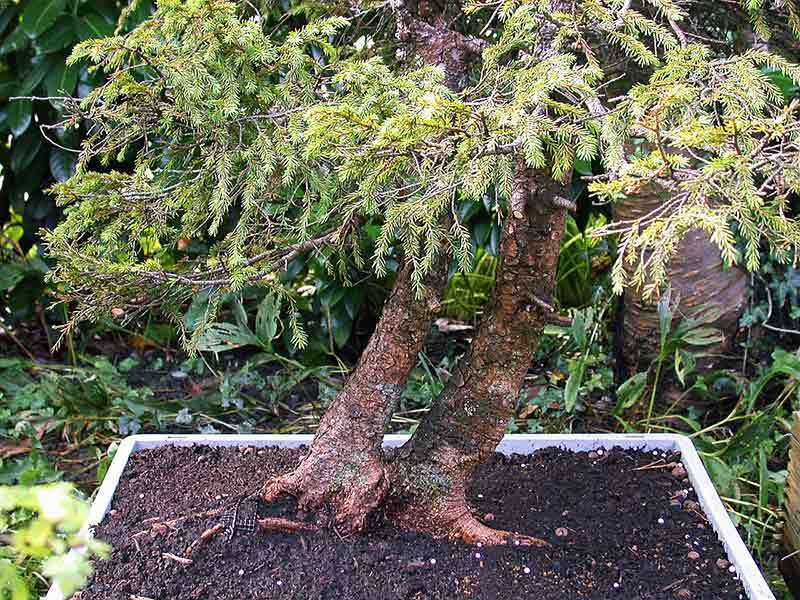 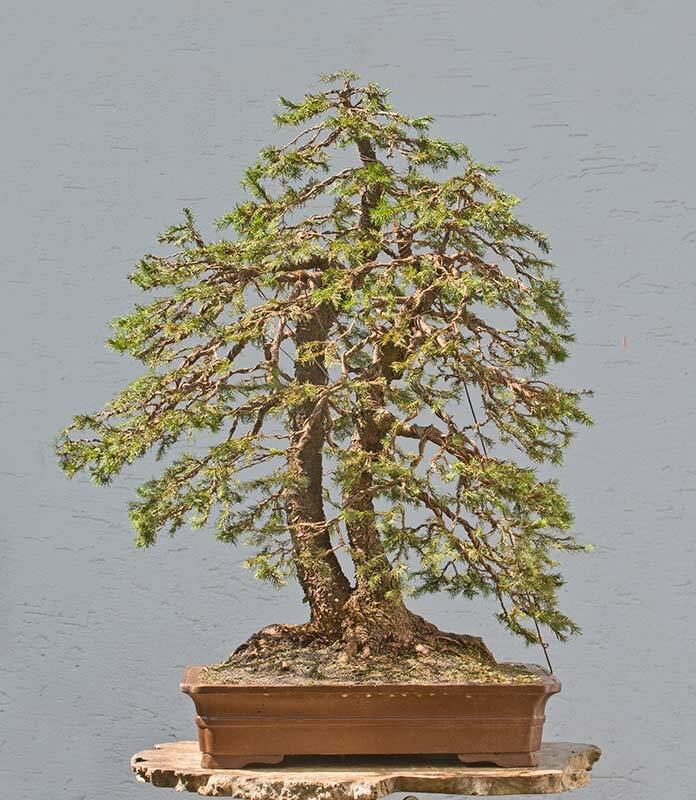 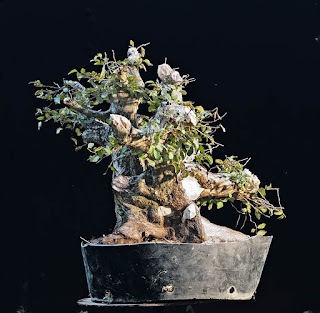 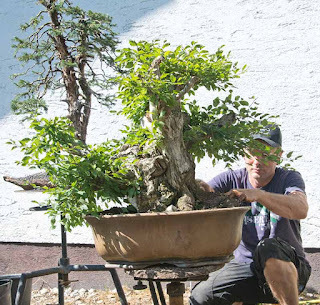 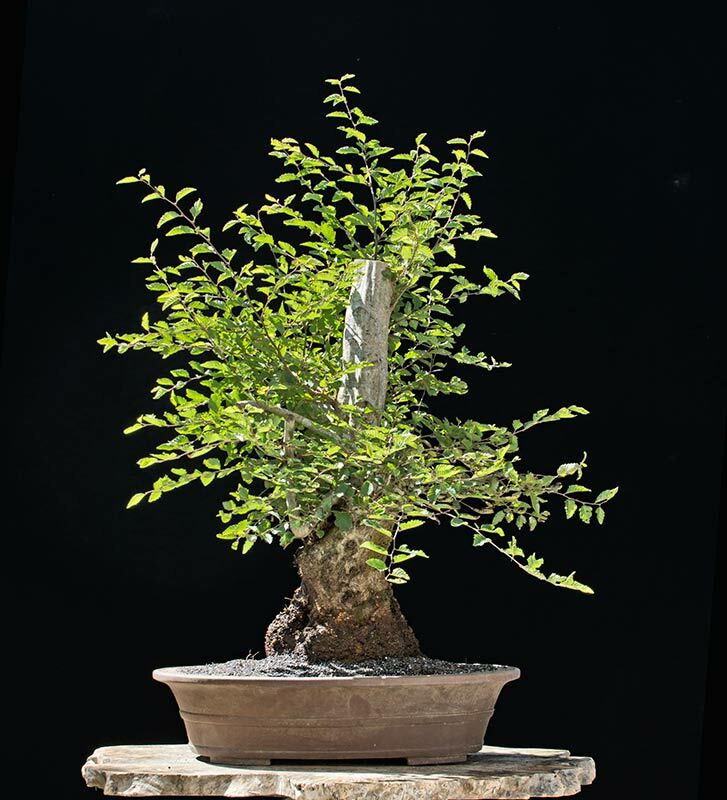 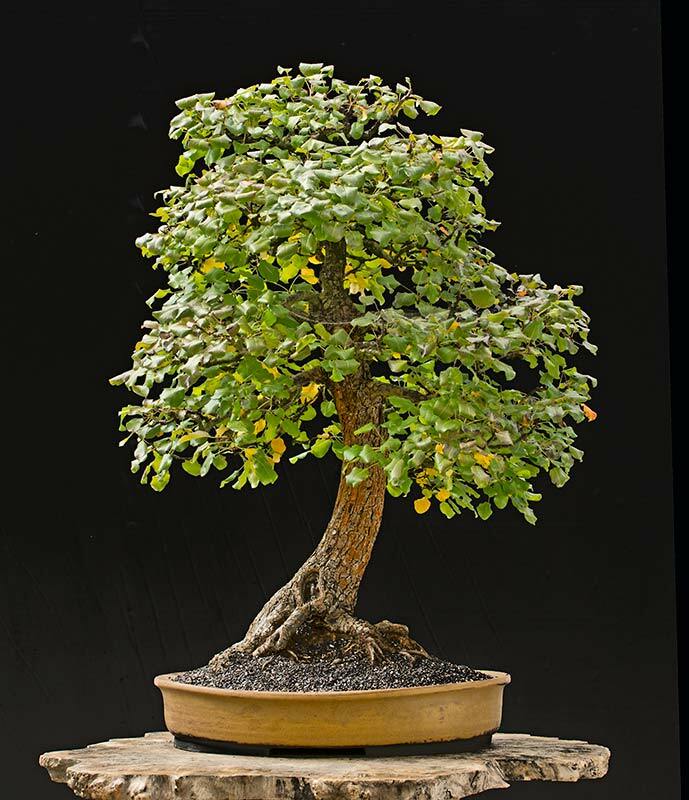 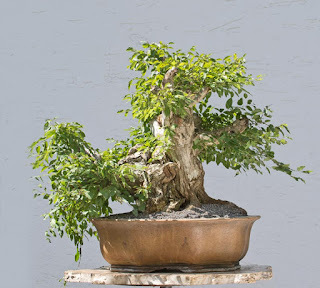 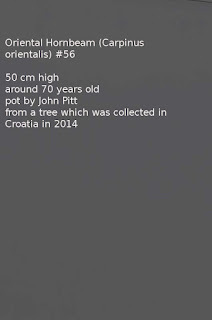 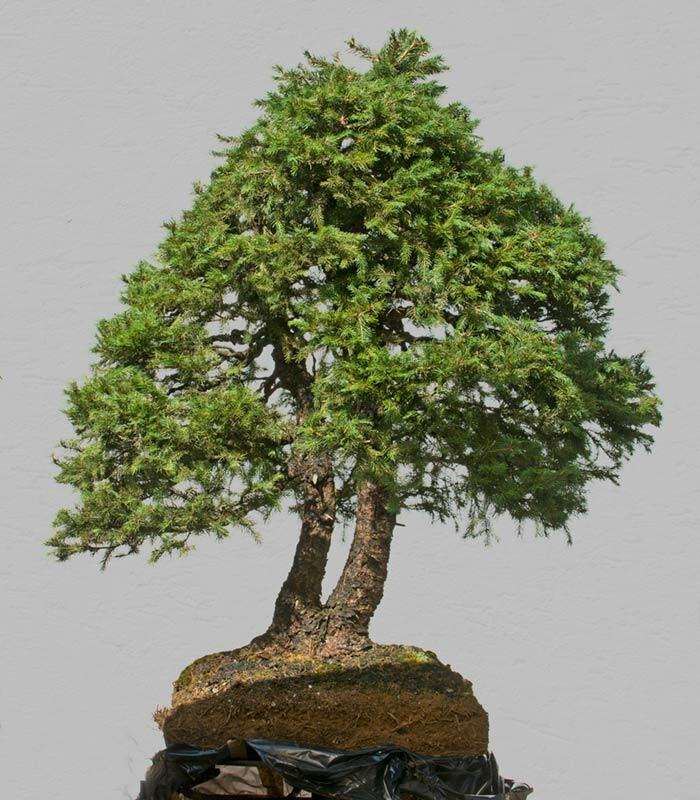 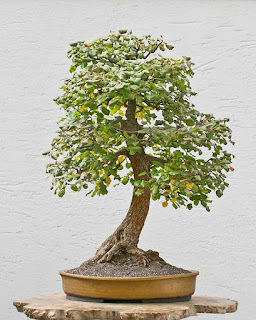 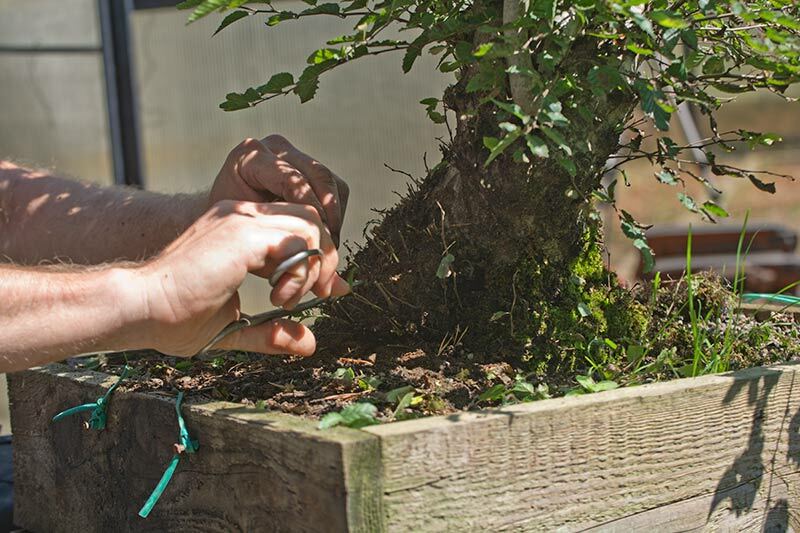 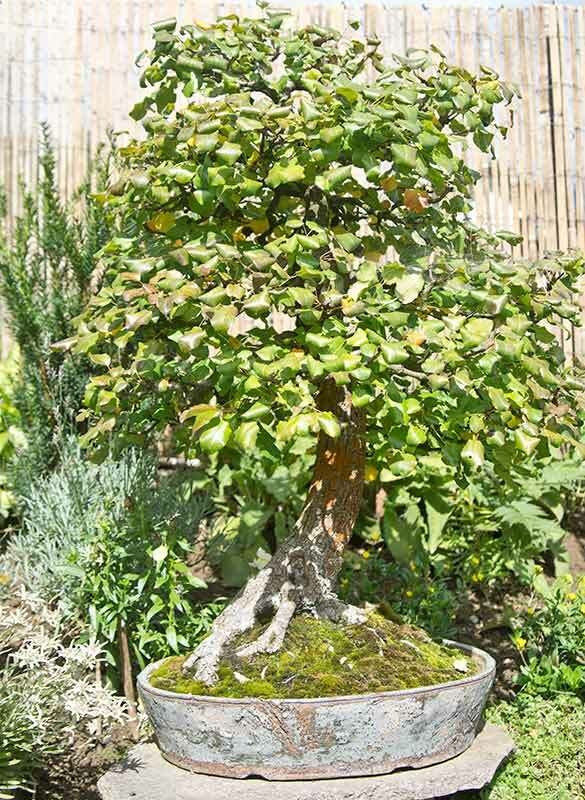 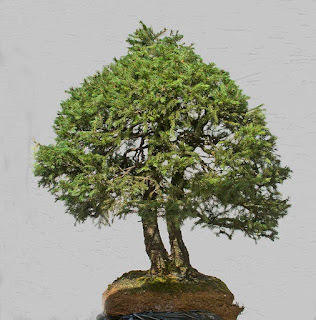 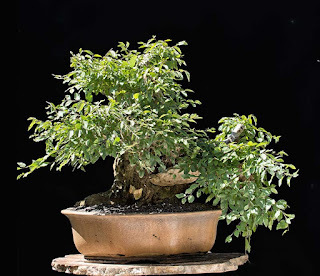 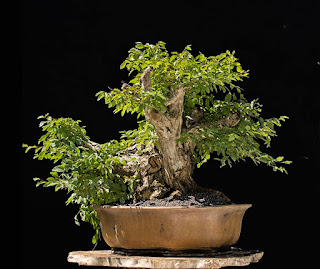 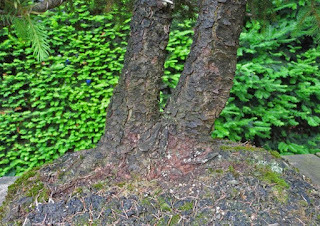 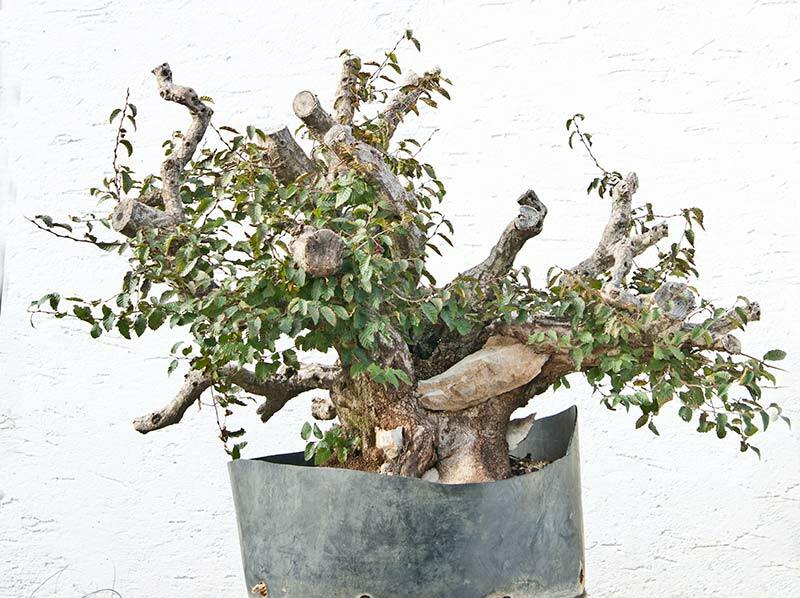 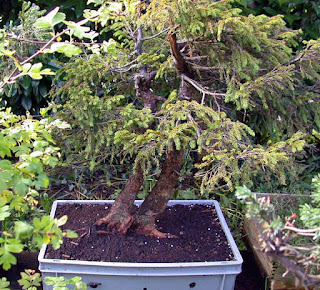 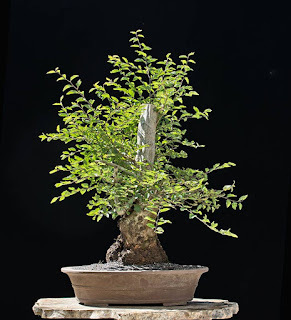 Now some small white flowers in May and some small fruit in September and this would be the perfect bonsai.